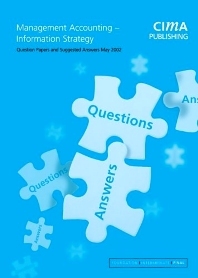 Management Accounting - Information Strategy May 2002 Examination Questions and Answers. The answers for the third set of exams under the new syllabus have been compiled by the Examiners. They provide an invaluable source for lecturers and students. This title is also available for immediate download at http://www.businesscases.org.